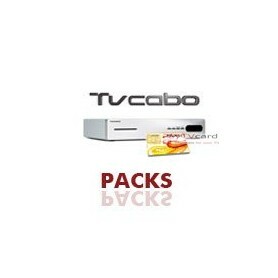 Pack receiver Digibox HD + card TVCabo ZON: The best of Portuguese and international TV! * The monthly payments will be collected directly by TVCabo on your bank account. * Cash payments are to be made by cheque directly to TVCabo agenda. 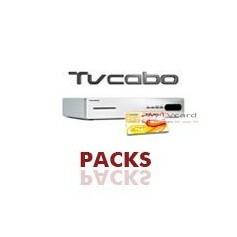 * The TVCabo subscriptions are concluded for a minimum period of 12 months. If you want to terminate at maturity, please inform us 3 months before expiry. How can I subscribe to TVCabo? for 12 full months): amount of the monthly payment to your formula x 6 or 12 months. b. perform the update proposed prior to installation. d. return contract signed, accompanied by the payment by cheque (if you pay by cheque). To receive TVCaboYou must have the satellite TVCabo (only compatible receiver) receiver and antenna must be oriented towards the satellite HISPASAT 30 ° West.